The technical diving computer by Suunto is a well-priced diving computer. EON Steel offers divers many safety features, alarms, and customized settings; while allowing you to keep your display clean and simple. The unique ability to recharge the battery on the Suunto EON Steel dive computer makes this computer stand out from others available in its class. EON Steel by Suunto is not something a beginner diver is going to enjoy. The sleek style of the Suunto EON Steel dive computer is attractive and provides easy visibility to all information on a brilliant screen. The touchscreen and navigation of the Suunto dive computer are fairly easy to use. As far as high-end dive computers go this one is right where you want to be for the price. The Suunto EON Steel dive computer has a rechargeable battery setting it apart from the competition. There are plenty of audio and visual alarms, but the three levels of alarm can make it a little complicated to tell what’s important and what’s not. This is a technical diving computer and may be overwhelming for new divers. 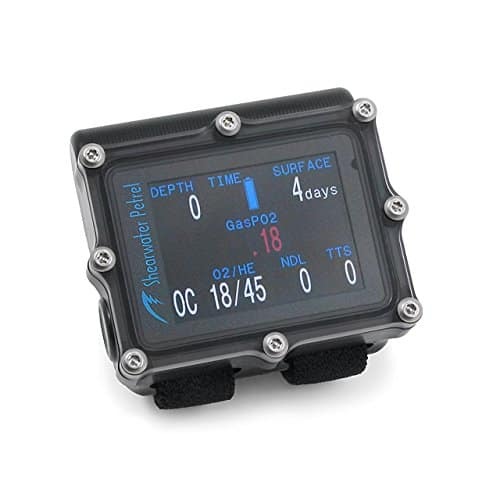 The automatic start and large onboard dive log can make this a great dive computer for beginners because they will not have to remember to dump their dive log repeatedly. The Suunto EON Steel is an amazing technical scuba computer. This high-end diving computer has more features than a beginner will ever need or use. A beginning diver may find that this dive computer is intimidating and that they have a hard time finding the information they need. There are many add-ons that you can get including air integration and attachments. The device itself is rechargeable which is a rare feature in dive computers making it worth its weight in gold. There is no doubt that the EON Steel targets the technical and very experienced diver. 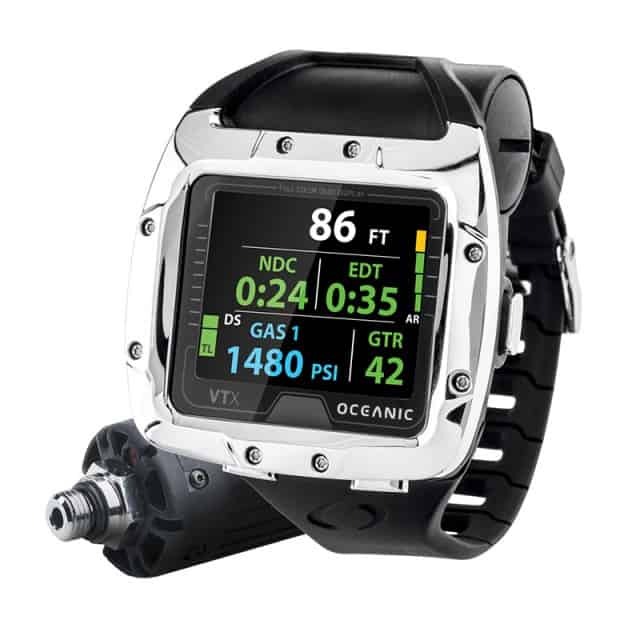 The Suunto EON Steel dive computer allows divers to choose from air, Nitrox or Trimix. 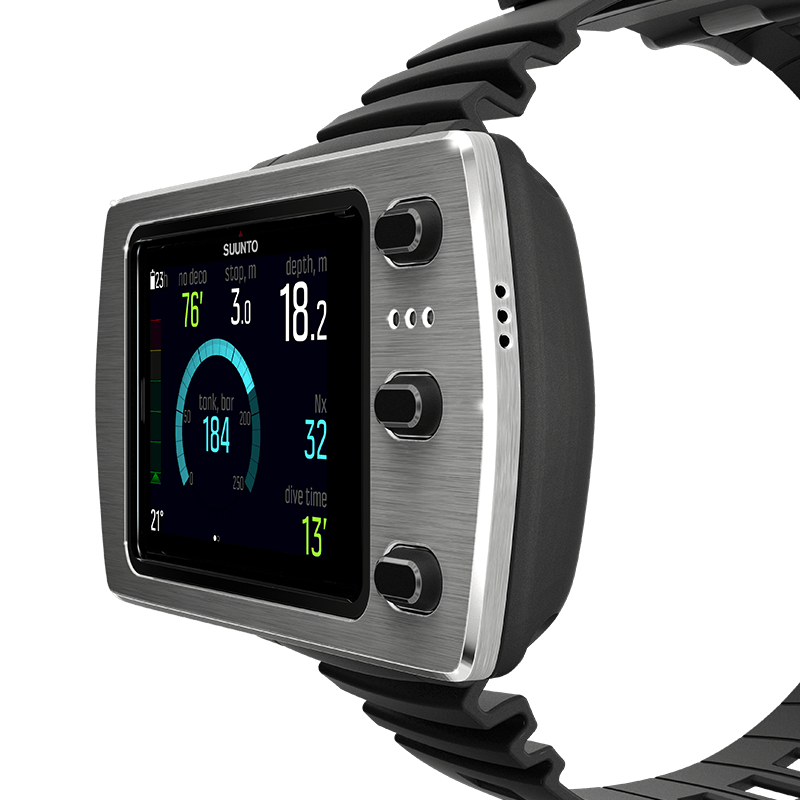 The three options will have their own displays on the screen allowing divers to see their ppO2 maxes. In nitrox, only the oxygen percentage is displayed, and in Trimix; oxygen and helium percentage are displayed. There is an option for air integration when using the Suunto EON steel dive computer. Air integration is available through a separate attachment. This attachment is available for purchase at an additional cost. 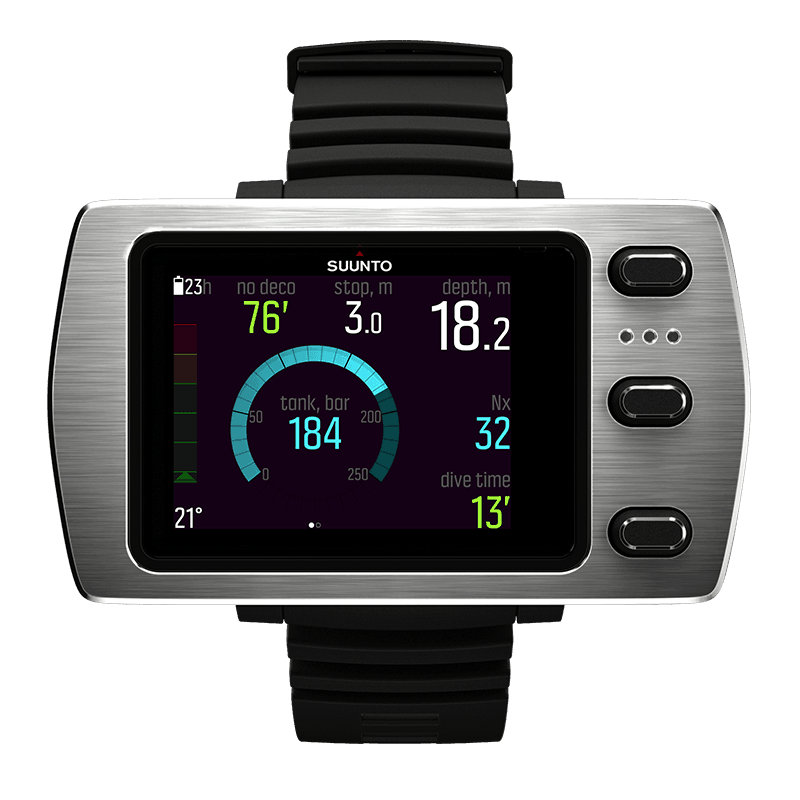 ​Both temperature and compass features are integrated on the Suunto EON Steel dive computer. To have the temperature displayed on the main screen, you have to customize your display. The compass includes tilt compensation. The compass does need to be calibrated and a calibration icon will appear when you enter compass mode. There are YouTube videos available to show you how to calibrate your compass properly. ​There is no backlight option because this is a digital display. You can adjust the brightness of the display which will affect the overall battery life of the Suunto EON Steel dive computer. Because the battery is rechargeable having a bright display should not be a huge worry. You can recharge your batteries in between dives without worrying about having to send it off to a dive store or the manufacturer. ​Suunto has three levels of alarm built-in to the EON Steel dive computer. Having so many alarms can make it difficult for the user to understand whether or not the audible or visual alarm is something that is life-threatening. According to Suunto the different levels alarm, warning, and notifications; are designed to be scrollable pop-up messages that will display on the screen until conditions return to normal. With all the alarms and notifications available on the Suunto EON Steel dive computer it’s easy to see how this could be overwhelming for a new diver. All this information is great for the technical diver who may be diving repeatedly or using Trimix. However, for a new diver, this information is going to make them feel overwhelmed and unsafe. These alarms can be configured, but there are only four configurable alarms: depth, dive time, tank pressure, and gas time alarm. Each of those has their own limit and can be turned on or off. Suunto EON Steel uses the Suunto Fused RGBM algorithm. This algorithm does lock if you fail to complete a decompression stop longer than three minutes. This safety feature locks the algorithm if you ascend above the decompression ceiling by more than 2 ft. There are both an audible alarm and a visual alarm that will alert you to go back down below the decompression ceiling for you to complete your decompression stop. Two different gas mixtures Nitrox and Trimix are compatible with the Suunto EON Steel dive computer. The compatible gases can be displayed in the following percentages: Helium %: 0–95 and Oxygen %: 5–99. When in Nitrox mode only the Oxygen percentage will be displayed. Suunto has created their own mobile application that is available on both iOS and Android devices. The Movescount mobile app allows you to easily transfer your dives to the online log without the need for wires. The Bluetooth integration on the EON Steel is a great feature and one you would come to expect from a high-end dive computer like this. There is no freediving mode on the Suunto EON Steel. The lack of a freediving feature is surprising considering how in depth Suunto’s programming is on this dive computer. The ability to turn off notifications would also be nice. The sheer abundance of alarms on this dive computer is a little cumbersome. Turning some of them off would be a great feature. There’s a lot to like about the Suunto EON Steel dive computer. To begin with, the rechargeable battery is as good as gold. Having a rechargeable battery on a dive computer is pretty rare, so this feature stands out as one of the best. In addition to the awesome rechargeable battery, Bluetooth connectivity of the dive log makes syncing your dives to your mobile device easy and convenient. Finally, the large onboard dive log means that if you forget your mobile device or are on a long dive trip with no technology other than your dive computer you will not have to worry about losing dives. Though there are a few things that aren’t that great about the EON Steel dive computer. It really is a very technical dive computer. This could be confusing for beginner divers and may be overwhelming. There are far too many alarms alerts and warnings that you cannot shut off. Not being able to customize all the different alarms alerts is really a low point for this dive computer. Finally, the Suunto EON Steel lacks a free diving mode. For all the bells and whistles that this computer has, you would think they would have included a free dive mode. Overlooking the simple feature that many low-end dive computers have seems to be a mistake on Suunto’s part. Usually the best (meaning lowest) price and selection are found on Amazon.com. Click the button below to look at the current price and read through some of the custumer reviews. The reviews on Amazon have been overwhelmingly positive. Any negative reviews were due to sizing options but not the functioning of the dive computer. You can find and read the reviews for yourself by clicking here. Please take a look at the following comparison table. It highlights some key features and their differences between this scuba computer, the Oceanic VTX and the Shearwater Research Petrel 2. Overall the Suunto EON Steel is an excellent dive computer. For the price that you can find this dive computer for, it really does have a lot of great features. If you can get past the fact that this dive computer is going to alert you to everything that you might ever want or need to know about your dive, then this computer has a ton of great features. All of the display items conveniently fit on one screen meaning that you don’t have to flip through screens to get all of your information. For those who want easy access to all their information, this dive computer is going to give you that and so much more. Suunto really packs a whole lot of information on to one screen with the EON Steel. 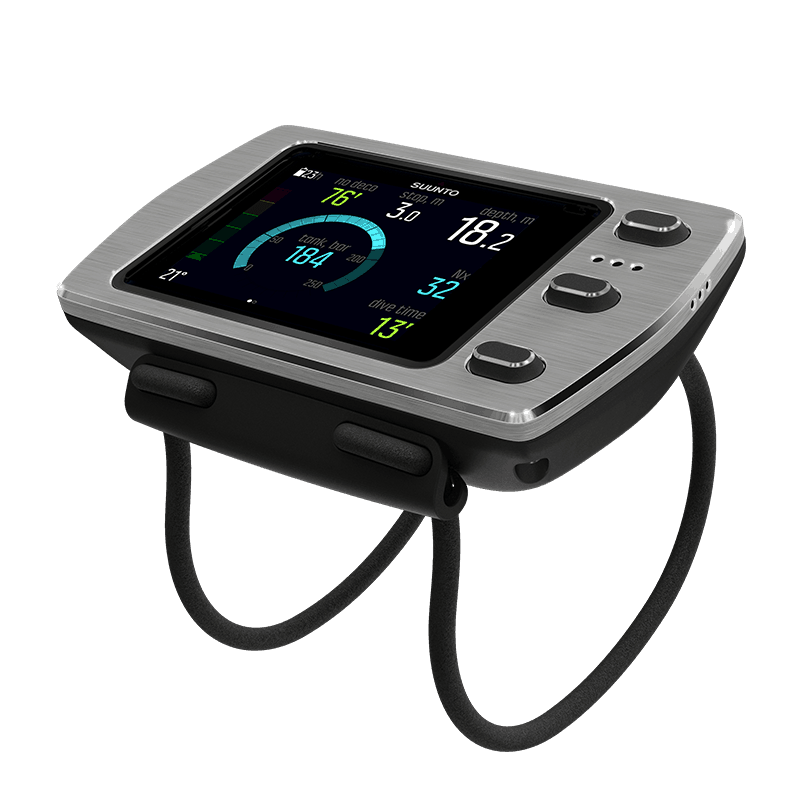 People who prefer basic dive computers are not going to enjoy the Suunto EON Steel dive computer. Those who only want to be alerted to very vital information are going to dislike the mandatory alarms built-in to the Suunto EON Steel dive computer. The mandatory alarms that you can’t turn off along with the alerts and notifications can really be overwhelming to those who just want basic information. Divers who are not very technical and don’t need tons of technical information are not going to enjoy this computer. 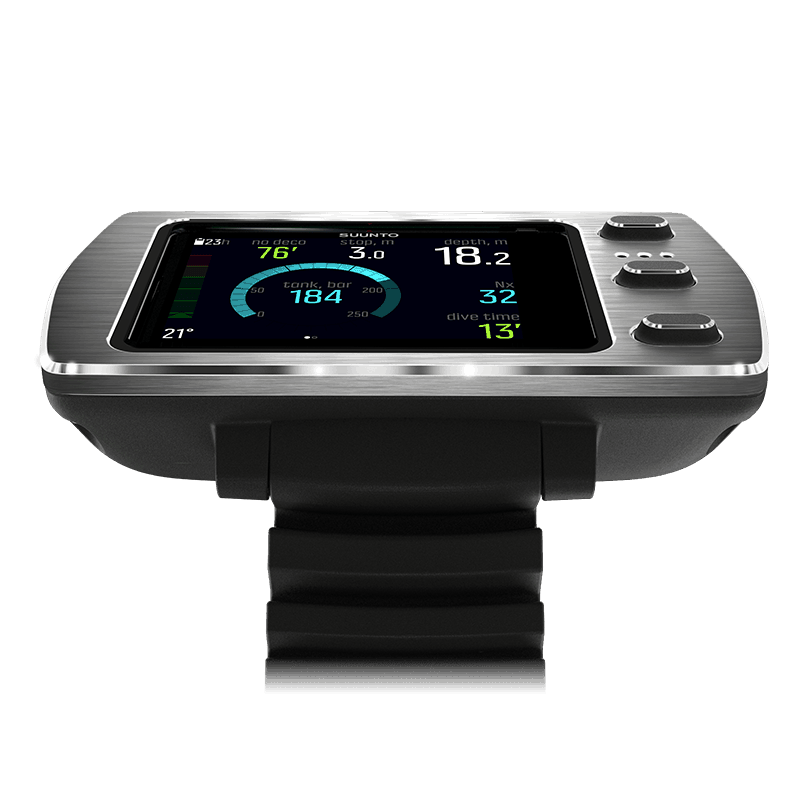 It is designed for people who enjoy having all of the technical information at their fingertips during their dive. New divers especially are going to find that this dive computer by Suunto is voluminous and has entirely too much information for them to use.